Material Handler Resumes should be used as a summary of your professional skills and experiences in the material moving industry. 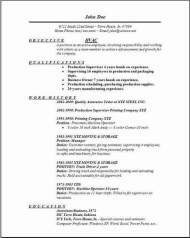 Your resume for the material handler position should describe your past experience in this field, along with your achievements. In fact, you will need to match the skills in the job description that you are applying for in order to get an interview for the position. Read every job description carefully, and match as many as you can when you create a resume. This is a must do item on your agenda if you want the job. A Material Handler will generally work in an industrial / manufacturing settings where they will move all the materials from storage or production areas, any loading docks, all delivery trucks, shipping vessels, and containers. Most material handlers work in a warehouse, and all of their duties will vary. Some of these duties include finding items that are in storage and transporting these items to a loading area. Add us now -- helps you find us again later. I would like a Material Handler position organizing and moving items in your warehouse, quickly and efficiently helping to maximize the in flow of material and the shipping of the material in an organized manner. 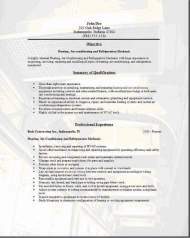 • Over three years of experience working in material handling positions. 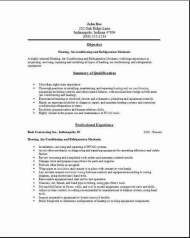 • Highly skilled in a warehouse facility loading and unloading material. • Love to operate a fork lift and electric pallet jack. • I will perform visual inspections to confirm that all materials match the PO perfectly. • I am very good at simultaneous work orders in a fast paced warehouse. • Adjust my time accordingly to perform each activity. • Very safety conscious in my work environment. • Follow all rules and regulations. • I can lift up to 50lbs very easily. • Good at basic math and scanning numbers. • Loaded a valuable shipment of parts going to an overseas warehouses without any product damage. • I am very good at training new people, as they understand my explanations easily. • Supply all materials to machines before they run out. • Monitor material software to expedite orders. • Provide replenishment materials to my specified lines in the manufacturing plant. • Review all packing slips and match in our system. • Secure and move material to its destination anywhere in the warehouse. • Update the computer database when completing each move of material. • Understand the loading sheet and complete the instructions of where they are to be moved to. • Complete daily operator checklist. • Loaded materials into tractor trailer. • Placed load lock and inspected door. • Took care of my area daily by keeping the loading dock clean. • Received training and I understand OSHA, EPA and follow safe practices while working. • Can learn your warehouse software quickly and confidently. Most all material handler positions will require from you, less than 1 month of on-the-job training. Most training will be completed by an experienced worker who then decides when you are ready to work on your own. This job usually goes quick, so you must apply quickly when you see a job opening. Look for material handler jobs at these places near you.